Vegetables should form at least a quarter of the food we eat. The more varied the vegetables and preparation methods, the better. Chips don’t count as vegetables, and potatoes belong to the polysacharide group, because of their content. Fruit is the second quarter of the plate. The healthiest and most nutritious is to eat a range of different types and colours that are in season. You can substitute fruit by eating vegetables instead. Polysacharides are best in their natural form. For example, millet grains, oats, rye sourdough bread, and wild rice. It is important to limit the amount of processed white flour products that you eat. Good protein is from fish, beans and legumes, nuts, seeds, soured milk products, eggs, and meat. A better ratio of vegetable protein would benefit almost all of us. Choose according to taste and your nutritional philosophy. The best drinks for you are pure water and unsweetened tea. You are better off leaving sweetened drinks out altogether. Oils and fats are the most valuable in healthy super foods, such as nuts, avocado, and fish. Good quality butter and cold pressed vegetable oils are also suitable. Don’t eat margarine, and limit other industrially modified fats and oils. Overall, natural and locally produced bio foods are better than processed or ready meals and low quality mass-produced and imported foods. In addition, you should also get some exercise outdoors, sleep well, spend time with friends, and be in a good mood! 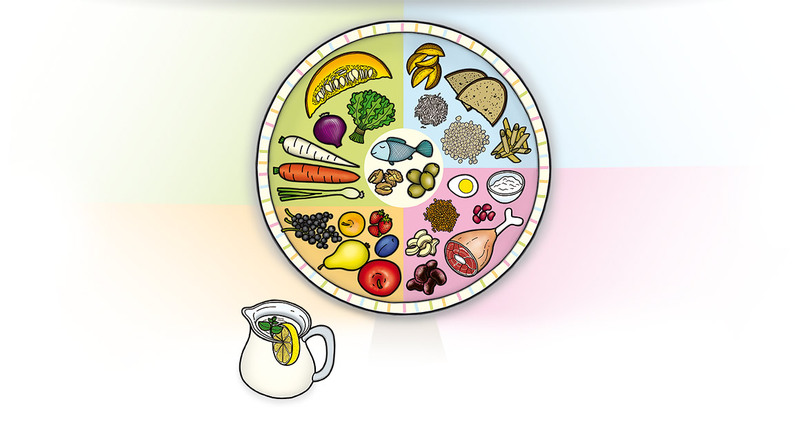 Healthy plate is a simple and effective aid for healthy nutrition, which is based on recommendations from the American My Plate, as well as Harvard and PCRM. The composition of the plate reflects modern scientific knowledge, showing the best way to maintain a healthy body and a healthy weight, creates a foundation for illness prevention, and also supports effective treatments. You can use the plate freely and without limit, both for your own personal use, and for teaching and education in schools. Keeping to the recommendations shown here, you will eat healthily even without having to count calories, going on drastic diets, or even starving yourself. The consumption of quality foods, prepared in the ratios reflected in Healthy plate, will ensure a solid foundation for healthy nutrition. Natural foods do not contain and artificial additives or preservatives, and provide your body with all of the essential nutrients. PharmDr. 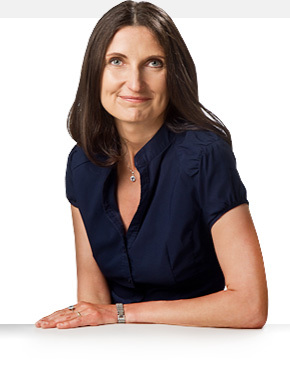 Margit Slimáková (*1969) is an expert health & nutrition coach. She studied pharmaceutical science and dietetics, and uses proven knowledge and methods from all fields of medicine. She is actively involved in counselling, public education, publishing, and lecturing.